Do You Know The Importance Of Your Wedding Cake? There are a lot of wedding planners and experts who say that the wedding cake is extremely vital in a wedding. As a result, couples will spend hours in order to get the most unique cake for their big day. However, do you really understand the importance of the cake. Usually, you will put the wedding cake in the reception hall. And it may probably be put at the center of the stage of your reception hall. As a result, it will automatically become the center or focus of your hall. Everyone will see it when they arrive. In fact, your guests may find it strange if they cannot see the cake when they arrive the reception. Besides, your guests may want to take a few photos or pictures with your in front of the cake. You need to make the cake special to this end. Besides, you will certainly have a cake cutting ceremony. This already explains the importance of the cake. You may wonder about why you will have this ceremony and the meaning of it. This is in fact a very meaningful ceremony. Cutting the cake or slicing the cake is the first thing you and your spouse do together as a married couple. This is why the ceremony is so meaningful. After the cake cutting ceremony, you will serve the cake to your guests. Of course there are some couples who may want to go for the idea of serving some mini cakes to the guests, most brides and grooms will still prefer to serve the cake to their guests. The taste of the cake must be good in this case. If you want to save a bit of money on your catering, you can take away the dessert from the menu. This is because the cake can be a good dessert for your reception. This will make the cake even more important. Now, you should know the importance of your wedding cake. The next step is to order it. There are some couples who may want to bake it themselves. This is certainly a good idea. However, you may really have the time to do so. In this case, you will need to discuss with a designer or a baker. You will be able to find a lot of styles and designs from them. You can also try to search for your favorite designs on the web. Extensive research is the key here. If you can do the research well, you will be able to get the best wedding cake! It is easy to create delicious breads and rolls that are unique to your business with Art’s Bakery Wholesale Program. 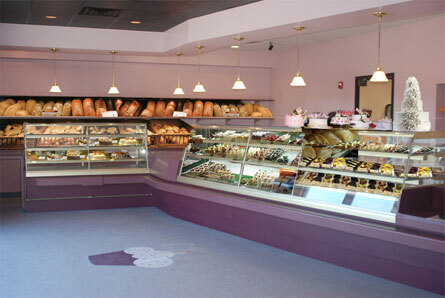 Just tell our master bakers what product you want and how it will be served. We’ll create and deliver it to you. Our handling and baking instructions are easy to follow and based on your equipment, procedures, and preferences. All you have to do is add the finishing touches and serve.